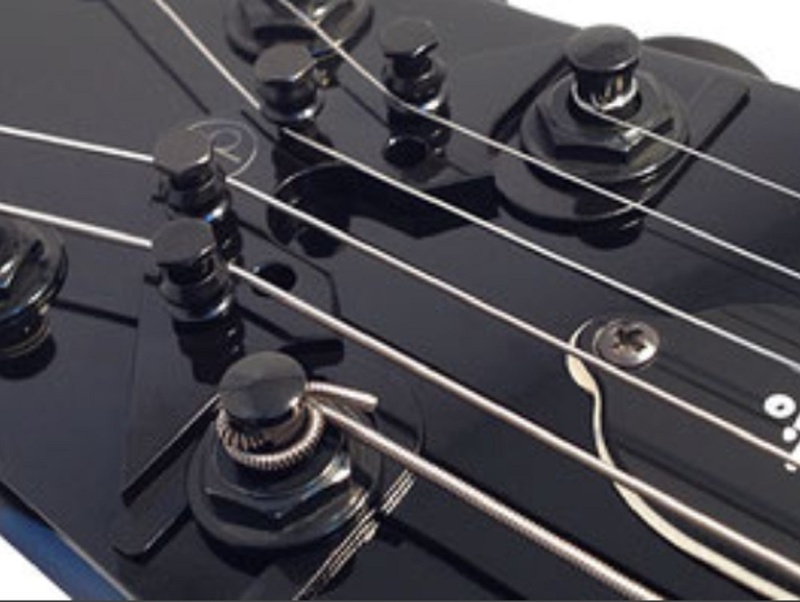 Addresses frustrating tuning issues found on many guitars with a 3 + 3 headstock configuration. 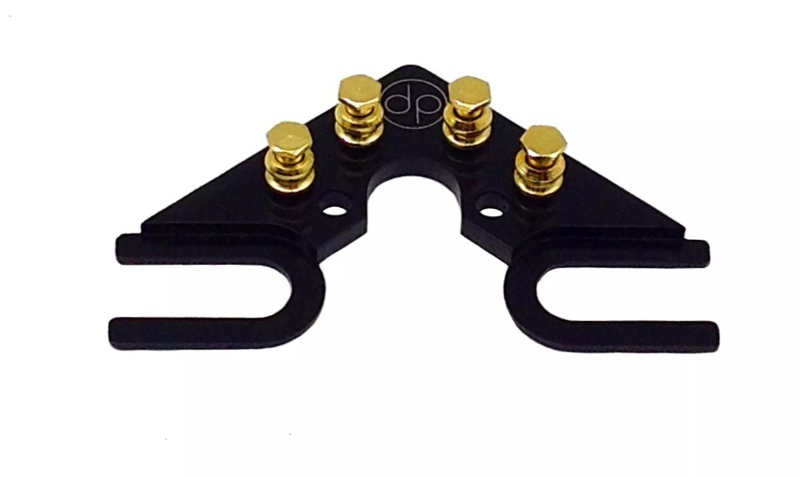 The String Butler’s Patented Design attaches to the head of your guitar and corrects the angle of the strings as they pass through the nut. This guitar mod greatly improves the tuning stability of your guitar and it looks fantastic doing it! German designed, so you know it is designed well and durable for many years of trouble free service. The rollers used on this guitar upgrade insure low friction as the strings are rerouted to the tuning machine heads. – Is your guitar difficult to tune? – Are the machine heads on your guitar difficult to turn? – Are you tired of having to retune a couple of strings after every song in your setlist? – Then you will love the String Butler!! 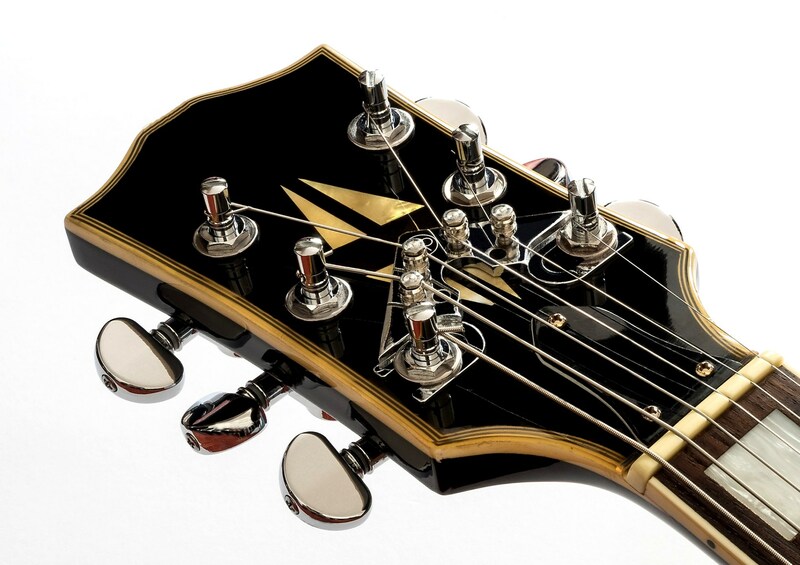 If the design of a guitar headstock doesn’t position the machine heads directly in line with the slot in the nut, then high friction is generated between the nut and the string. This friction makes it difficult to tune the guitar accurately and the tuning may change while you are playing. In severe cases it is also difficult to turn the machine heads which can damage them. 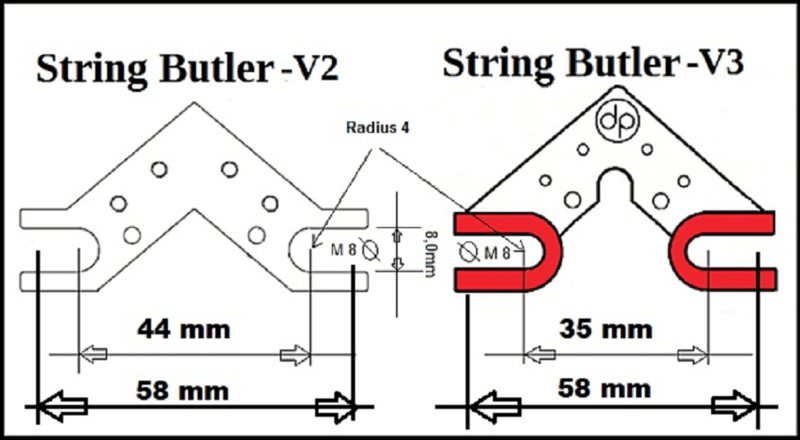 The String Butler sends the strings straight through the nut which reduces this troublesome friction. 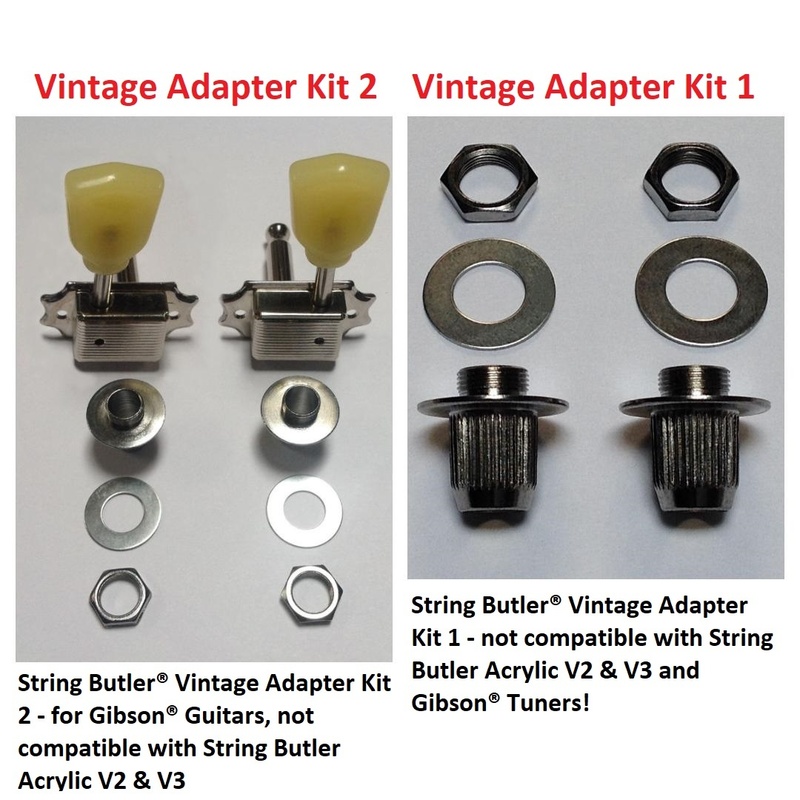 The String Butler is designed to address well known tuning stability issues on guitars similar to, but not limited to, Gibson or Epiphone Les Pauls, SG’s, ES 335 Style, Archtops and Acoustic guitars. V3 Currently available in : Black, Gold, and Silver & Clear and our premium models Black with Black Rollers ( Stealth ) and Black with Gold Rollers ( Lux ). 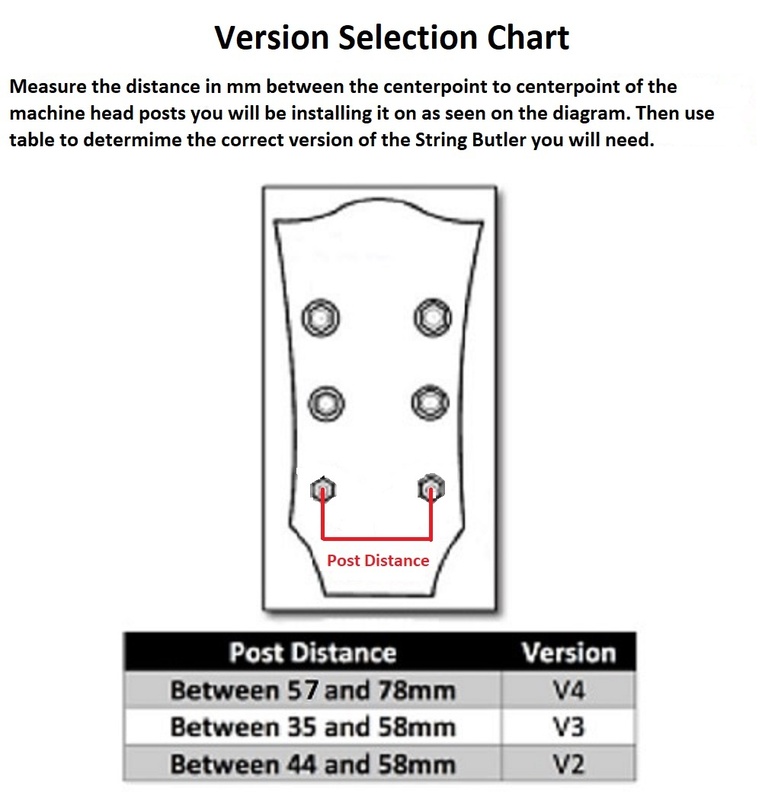 Note for V3 Clear only the maximum string gauge should not exceed .10 -.46 for electric & .12 -.53 for acoustic guitars. Other versions there is no restrictions on string gauge. 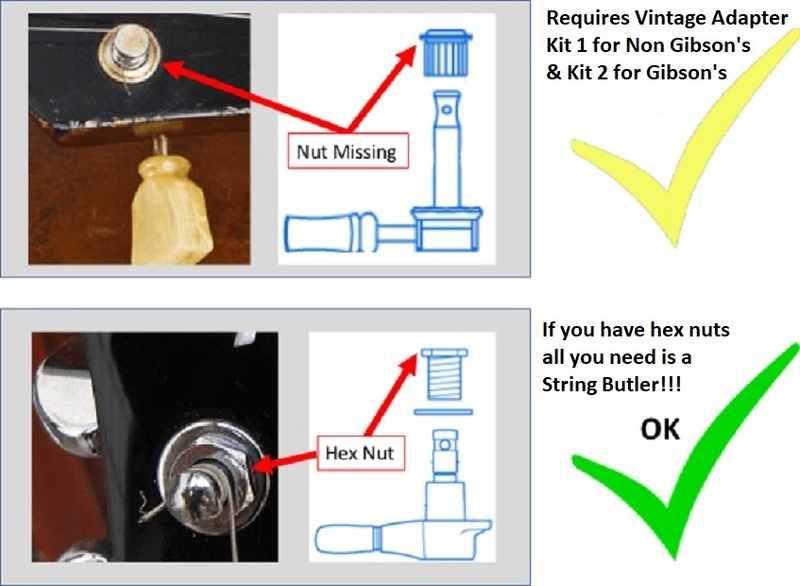 See the pictures in the listing for visual guides to determine if this product will fit your guitar. Note this is the V3 Version. 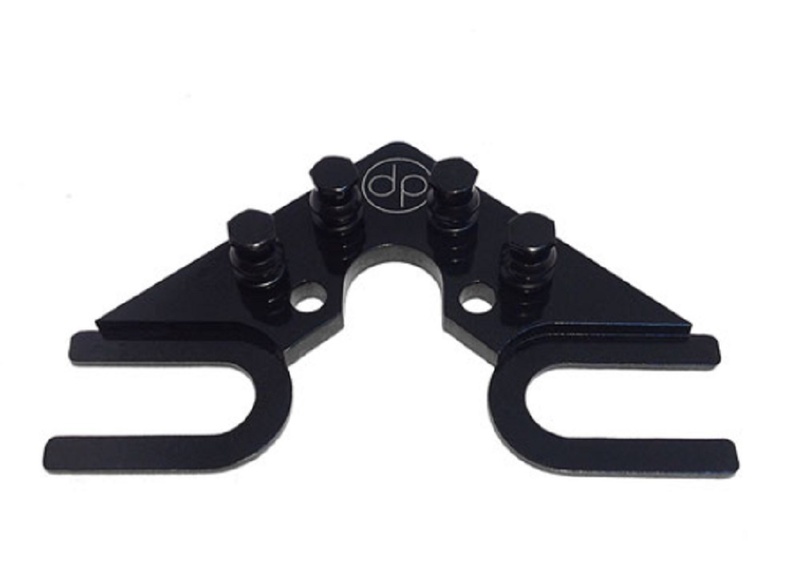 Manufacturer Warranty: The String Butler is covered by a 24 month warranty against defects in material or workmanship from Dietrich Parts. SKU: n/a. Category: String Butler. I have a butler! Whoa.. wow.. This butler has been sitting around for a bit waiting to be installed on a guitar I am building. But it’s taking to long to build (because I want perfection) so I installed it on my Epiphone and I like it. The straight pull on the center strings makes for a softer touch. Barre chords seem easier on my fingers. The tone seems a bit tangy but it really goes along well with the type of music I’m learning. Thank you, I’m going to have to get another one for my new build. Awesome product! This product is awesome. I always had issues with my Les Paul going out off tune, since I installed the String Butler my Les Paul stays on tune, even after wild and crazy bends. 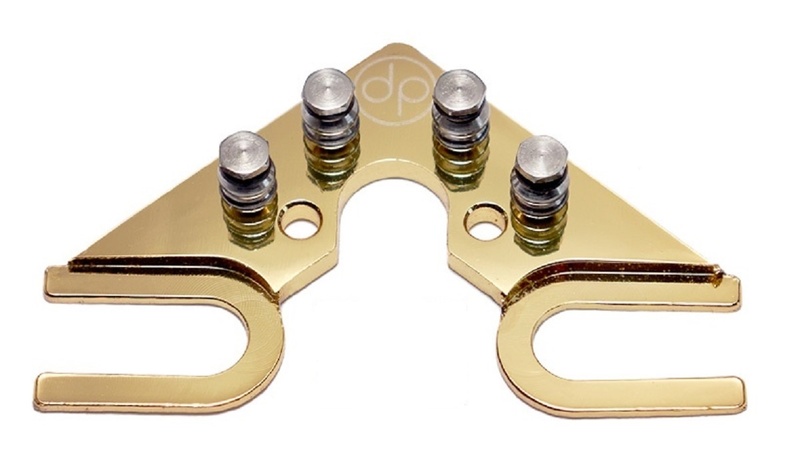 Every Les Paul owner should by this product it is worth it. This thing is like magic. It totally fixed the problem with my Gibson SG going out of tune all the time. I can bend the mess out of the strings now and it stays in tune. The price is a little high for this, but it is worth it to keep my expensive guitar in tune. My Les Paul Standard with titanium nut loved this mod. Works as advertised. Well made and easy to install. Recommended!!!!! 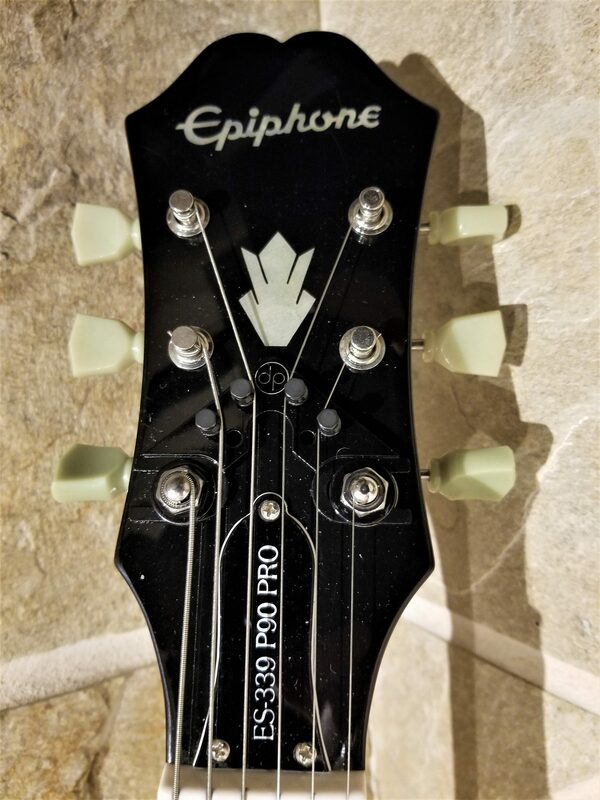 I have a brand new Epiphone ES 339 Pro that I had set up, changed the nut and tuning machines and still could not keep it in tune. The String Butler has helped immensely! I’ve only played the guitar once since I put it on, but so far it is a vast improvement. 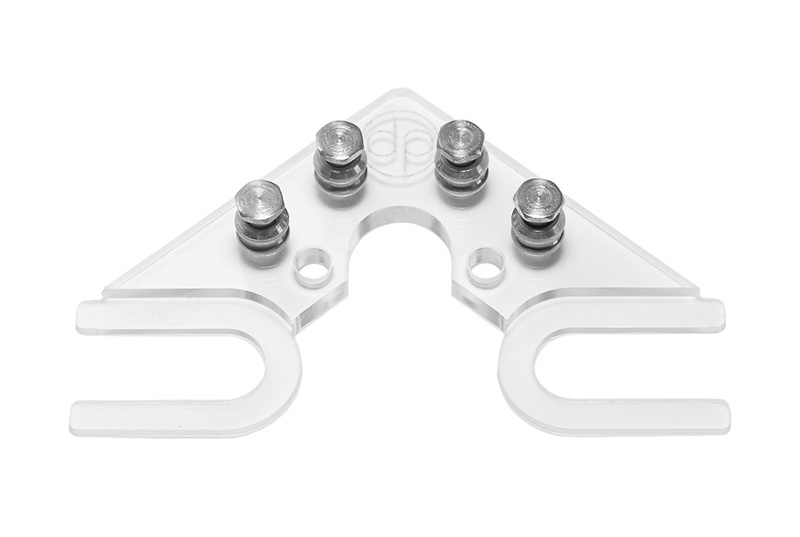 easy to install and works wonders with avoiding tension through the nut. I highly recommend. Great product. If you have les Paul tuning issues, this is your fix. My Epiphone prophecy continually went out of tune before installing this. Now it stays in tune and is much smoother. Great It did everything I expected! IT WORKS! I wish I had the String Butler years ago. This has been the best upgrade I’ve made to my guitar in years. It only takes a few minutes to install, and it WORKS. Now my Les Paul stays in tune even when doing heavy blues bends. 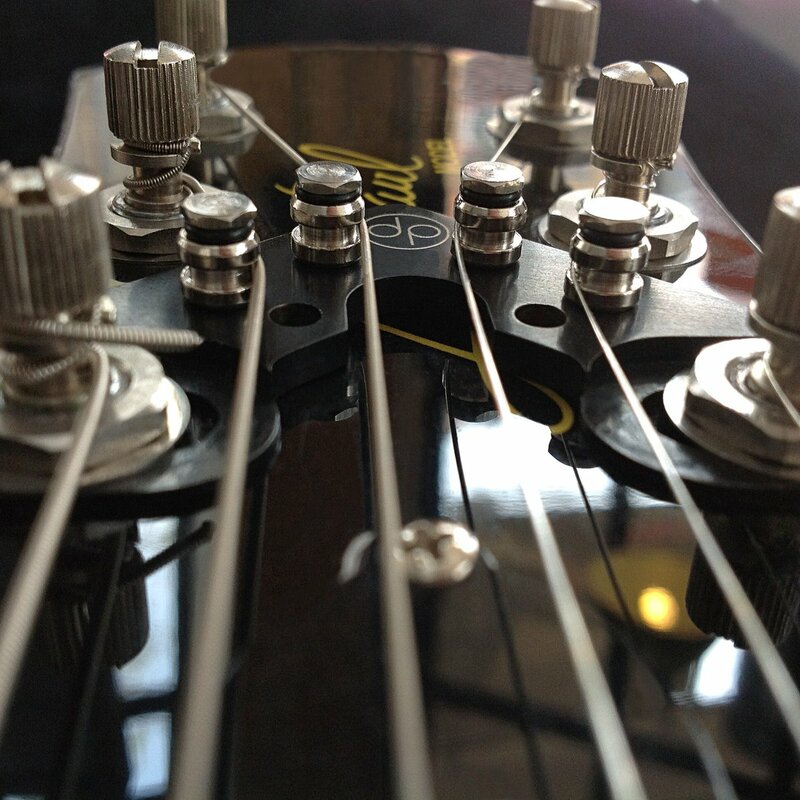 It can be removed without any damage to the headstock if you decide to sell your guitar. 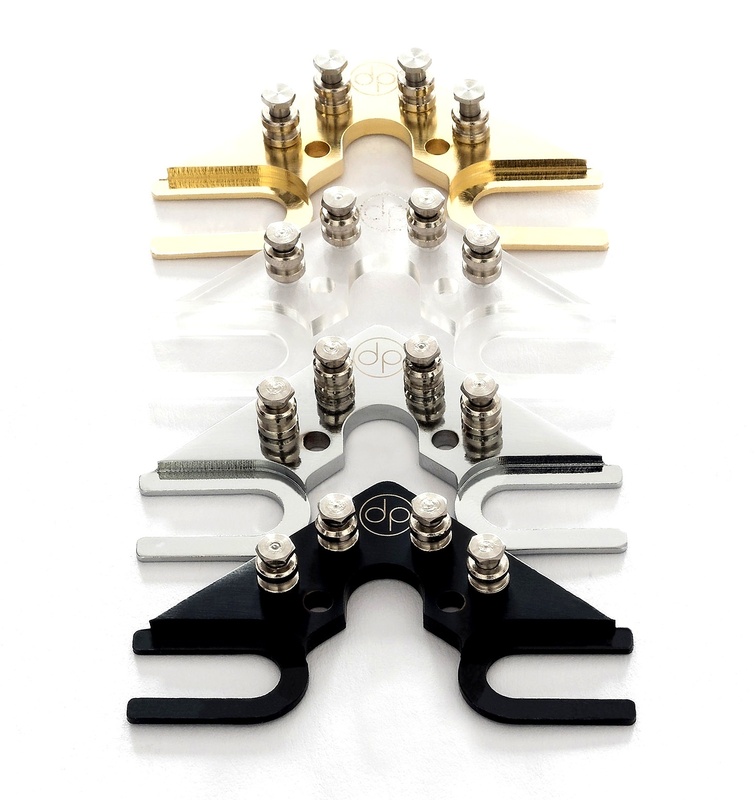 It comes in Clear, Black, Chrome, and Gold so it can match your guitar and style perfect. It worked, without a doubt. Definitely increased tuning stability on my Gibson SG. I bought an Epiphone SG 400 and it would not stay in tune for most than 30 minutes. I found the String Butler in You Tube video searching for ways to solve the problem. The reviews were almost universally positive so I decided to give it a try. The results have been better than I anticipated. If you. 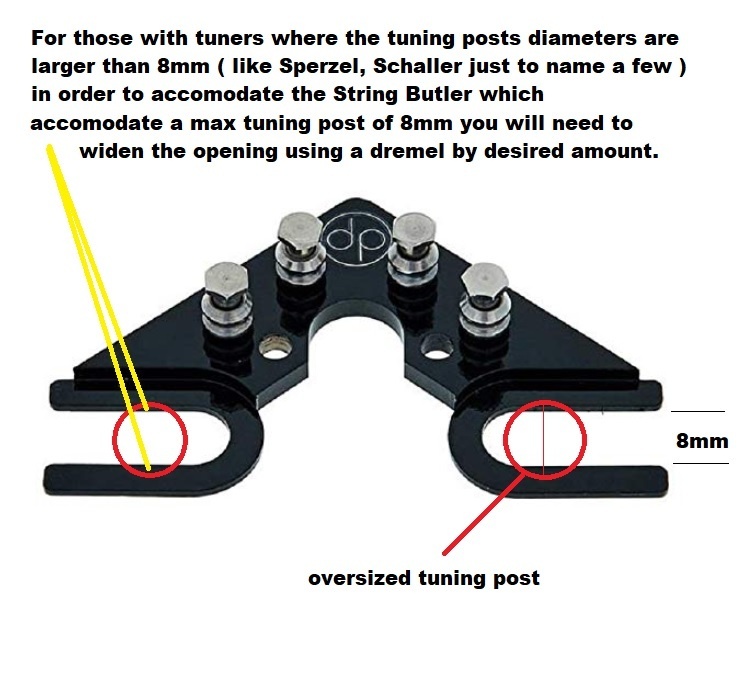 Are having problems with the tuning on your 3×3 feedstock instrument, gone it a try.The only thing I would do different is to purchase the metal version rather than the acrylic. String Butler is a MUST! This wonderful device not only helps to keep the Guitar in tune, it changes the wholle intonation. Now the tune is PERFECT. I installed the String butler V2 on my Les Paul and my ES-335. The changes and improvement were AWESOME, OUTSTANDING. Why didn’t someone think of this long ago? I have a couple Les Paul’s that just wouldn’t hold tune. I have messed with nut and even replaced a nut on one guitar and it still just kept catching and not returning completely causing horrendous tuning issues after songs with lots of bends on the third and fifth fret. I saw a video for the string butler on facebook and decided it made sense……what a difference!! Both guitars have become stable with tuning and I can bend the heck out of the strings and still hold tune as advertised. I highly recommend you try these if you have a 3×3 tuner headstock and have those old tired tuning issues. You will be amazed. G string! This is a blessing! Such a simple tool yet vital. I was always having to tune live and now my guitar stays in tune for most, if not all of my set. Love it! Five Stars. 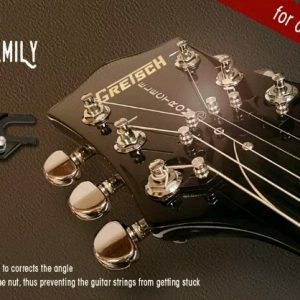 Reduces the string angle across the nut. very clever, works well. Put it on my les paul, after letting the strings stretch when changing stays tuned even with heavy bending. Works great and seems to be solid and durable. Works! Love it! Really had an issue keeping this on in tune. Problem solved! Whoever came up with this idea deserves a monument. Have a Les Paul? You got to get this! This is exactly what I needed for my Gibson Les Paul. 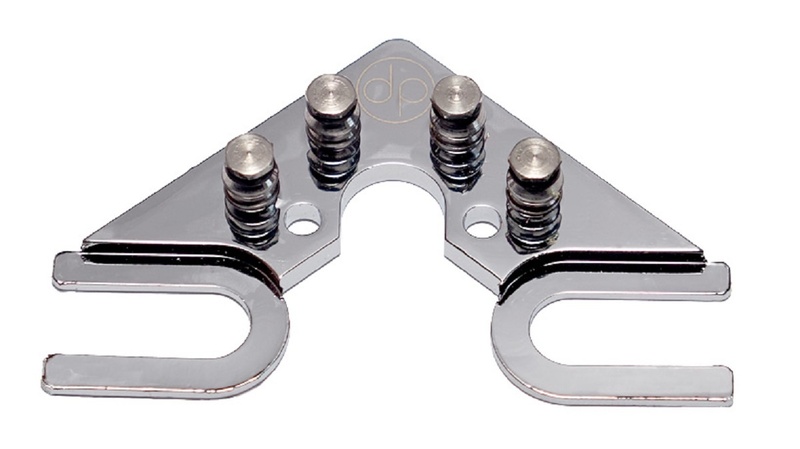 I just recently started having a problem with the D-string popping out of the nut, so that was my main purpose for ordering this, and it works great. As advertised! It works exactly as advertised. I have cheap tuning machines, and the string butler still keeps my guitar in tune much, much longer than before. Even when I replace the machines, I am still going to install the string butler. Outstanding. Five Stars! Excellent product. Sturdy and functional. Fits my Ibanez AM series too. Highly recommended. AAA!!! Well worth the Money!!! One of our guitar players could NOT stay in tune.. and this went on over a LONG period of time (years)!! We got him one of these and he has NO PROBLEM at all!!! These things WORK!!!!!!.. Great product to help guitars with a Les Paul style headstock stay in tune. Nice quality product. Thanks Dan!!! Finally I can play my Gibson ES-335 without worrying about that G string going out of tune all the time. For years this guitar stayed dormant as I was frustrated that it wouldn’t stay in tune so I never played it. It looks great on the headstock. I would recommend. I will order another one for my Les Paul. Awesome product!!! 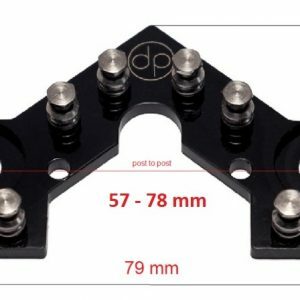 I ordered 1 for my Les Paul Standard & 1 for my SG Standard. It stays in tune just like my Fenders do now!!!! Great Idea! Really helped with some tuning issues! Installation is pretty easy if you are at all a DIY’er. And it looks kind of cool too. Great product! Well built. Does what it promises to do! 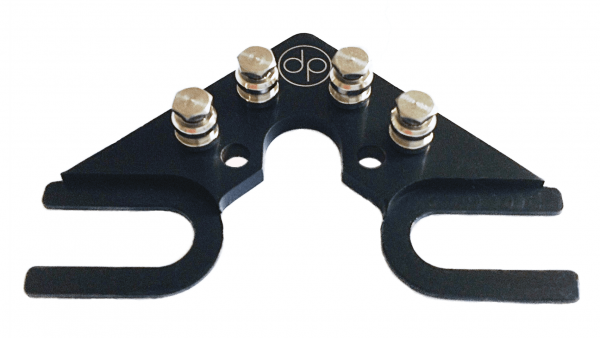 If you have a Les Paul / SG you need this device. And now available in Canada so you get it quicker. Had one on a Les Paul, now I have 2 more (Les Paul Special and another Standard). Next are the 2 SGs. And super fast delivery too. Can’t be happier. Thanks, Dan. Thanks Peter!!! Glad you enjoy our product!!! 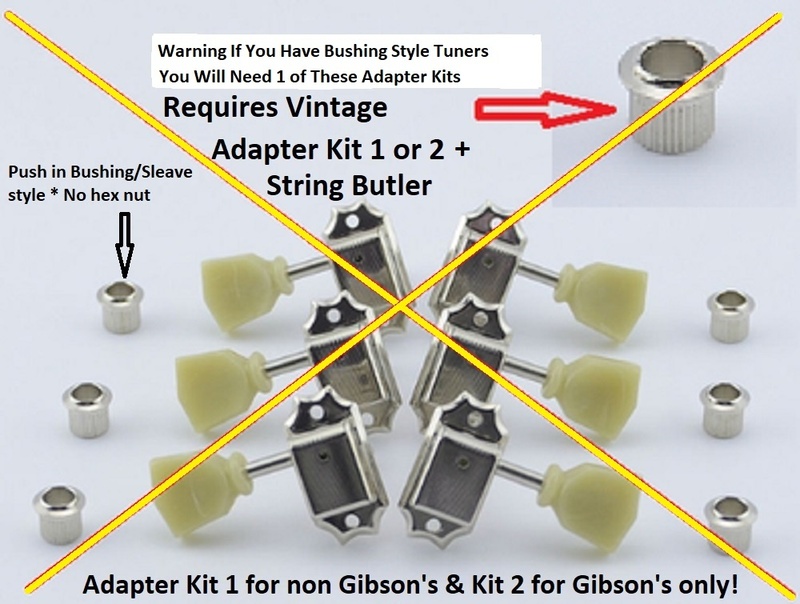 all Gibson style guitars thereby eliminating the frustrating “binding” which causes the guitar to go out of tune. 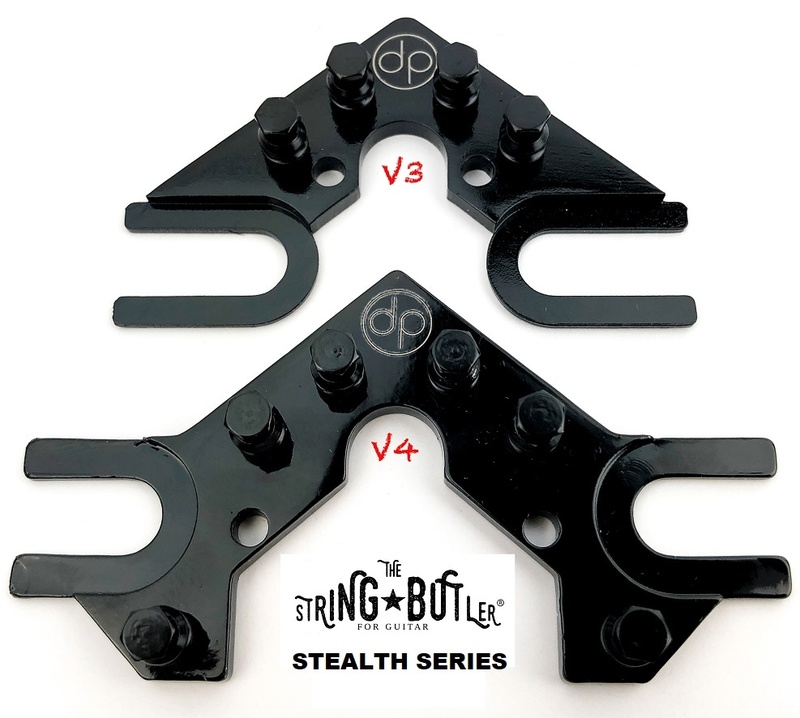 The two E strings are anchored down to their respective tuning pegs, while the unruly A, D, G and B strings impressively sit in the String Butler rollers. 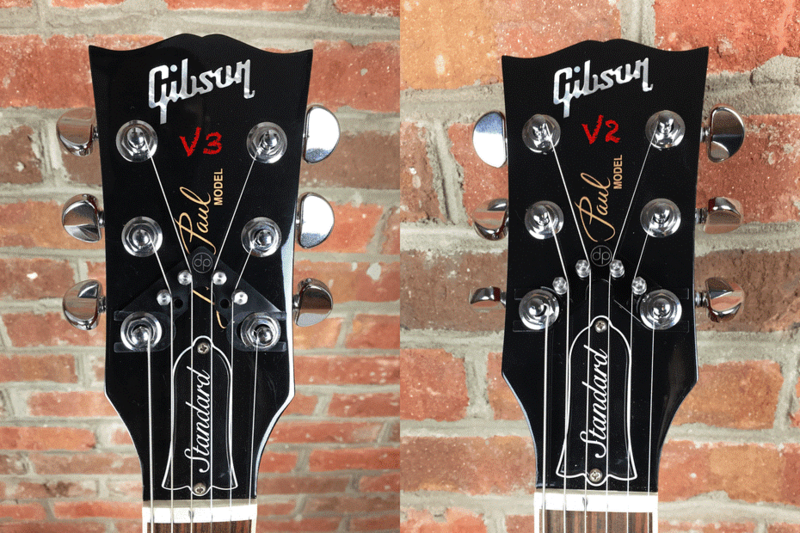 There are two sizes: the V2, which I find fits my Les Paul and SG perfectly, and the V3, which is a little wider, providing more wiggle room for other “3 a side” headstocks, such as an acoustic! Dan at In-Tune-Guitars provides incredible customer service, even explaining how to install the device. Highly recommended! In all honesty I was going to sell my les paul for a PRS, loved the guitar but hated the tuning issues, especially at live gigs, the String Butler is absolutely outstanding!! Should come standard on all Gibson guitars, Highly recommend!! Thanks so much!! I bought a Gibson ES339 a couple of years ago, unaware of the tuning issues that are typical of many Gibson guitars. The guitar is beautiful and sounds great, but I must admit I was pretty frustrated. I am pleased to say that the String Butler works very well. My Gibson is now the guitar that I imagined it would be! Great item! 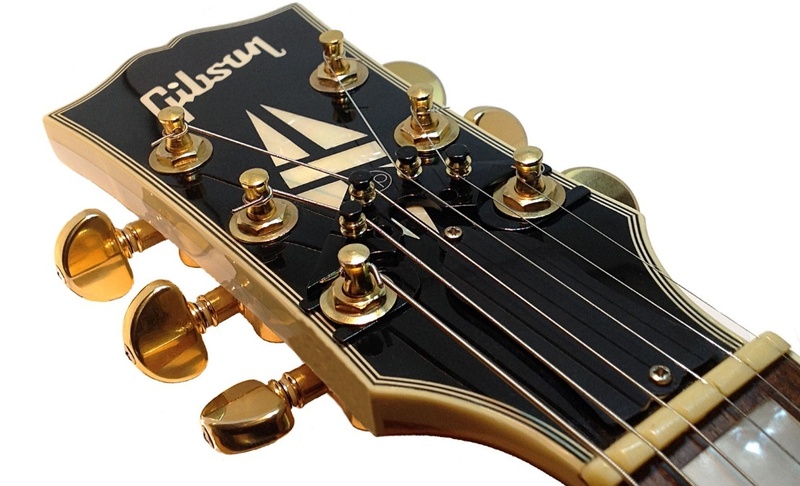 A simple product which addresses and corrects the tuning issues Gibson owners have wrestled with for years. 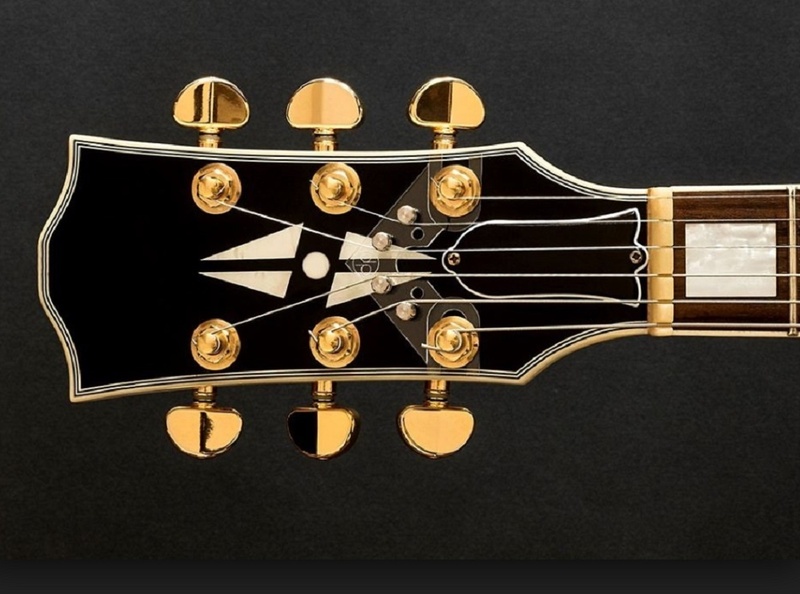 I introduced my friend, a guitar tech and member of an amazing Aerosmith Tribute Band, to the String Butler and he was amazed by it’s effectiveness to better keep his Gibson’s in tune and now has his concert guitars outfitted with them. They address the issues guitar companies refuse to who are afraid to improve on their traditional practices and designs. As such, they risk being left behind and push buyers to other brands which have evolved and embraced advances in design. Like all the other reviews here 5 stars!!!! I installed the Butler on both my Gibson Les Paul Studio and Ibanez Omar Rodríguez-López Series. These guitars would never stay in tune after playing a song. The difference is astounding. The tuning holds solid now, all without the help of robots! The service I received from Dan was fantastic! So happy I bought them!! Easy to install and it works. Got a black String Butler V3 for my vintage Gibson ES 325 and years of having my G string constantly go out of tune after playing one song are now over. It works like a charm and actually looks pretty cool as well! Dan was also kind enough to help me pick and install the right model for my guitar. Highly recommended. Been seeing this on ads for a while now. I have an SG with a Maestro vibrato that always for an issue tuning wise. Pulled the plug and ordered one. It was here in only a couple days and installed in 10 minutes. I can finally use the arm now. Stays in tune really well and the tone has stayed the same as before I put it on. Glad the String Butler helped Joel!!! Rock on!!! Installed the String Butler on a 2010 LP Traditional without any difficulty . I was able to play a 45 minute set without going out of tune and I thrive on bending strings. Previously I was unable to stay in tune for one song. The String Butler does what what it claims and was compatible with my after-market Grovers. 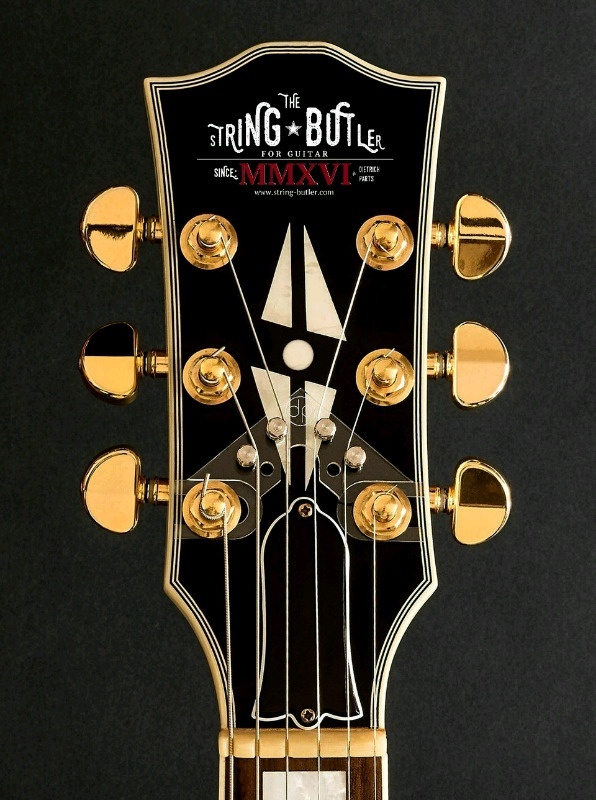 This is a “must” for Gibsons and other like guitars with similar headstocks. Please thank the Guitar gods this. I put the V2 on two Gibsons, an SG and a Junior LP. The results are similar: way easier and more accurate tuning, string bending stability, both guitars stay in tune a lot longer, so definitely an upgrade worth every penny! 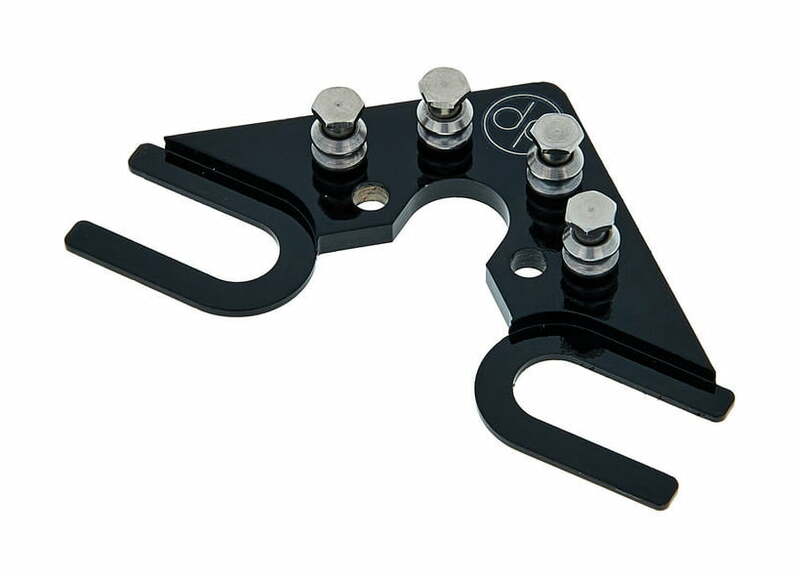 I added one of these to a vintage Guild Bluesbird and while it did IMPROVE the tuning it didn’t 100% solve the problem. I use this for practice only but at least it’s playable. My other guitars are Fenders but I would certainly recommend this device for any LP type instrument. I bought an inexpensive ibanez gio to upgrade as a trem monster. I added Duesenberg Les Trem II, locking tuners and a roller bridge to help with tuning stability but it wasn’t until I added the String ‘Butler that it finally would stay in tune. Love it, looks great and works great!